This is modern office centre with a courtyard design and internet café all making a friendly vibrant business community. 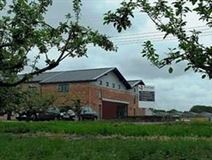 The centre is based near to Milton Park Business Centre and road connections via the A34, but is set within an orchard giving a pleasant, green location. The offices all come furnished and with IT and telecoms equipment, the lease agreement is designed so tenants are not charged for any communal areas and can be for as little as three months. The offices benefit from 24hr access, kitchens and free parking. Set in the picturesque countryside of Oxfordshire, this popular centre hs a four person office available. Space comes fully serviced and furnished with a wide array of amenities. Tenants will have 24 hour access, use of kitchen facilities and super quick internet. Rent inclusive of utilities, insurance and maintenance. The centre is also only 40 minutes via rail from London and Heathrow Centre is around an hour's drive.